Here is a map of the 10K route. 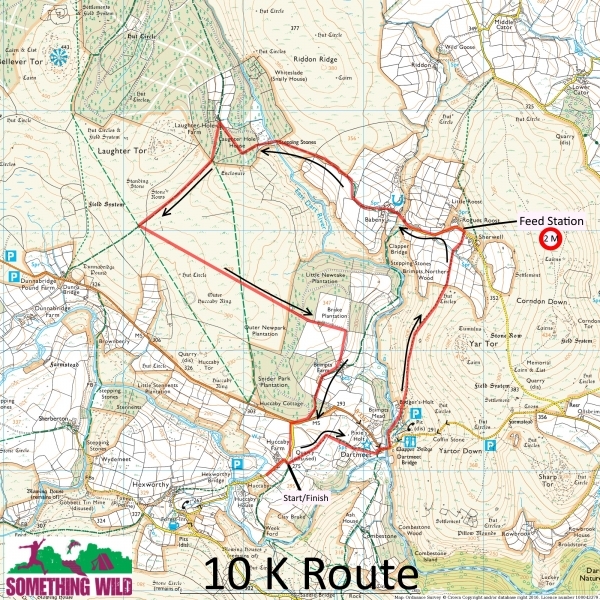 You can also view the embedded Viewranger maps for the 10K & 5K routes at the bottom of the page. The water station on the 10K is by the style at Sherwell at approx 3km.